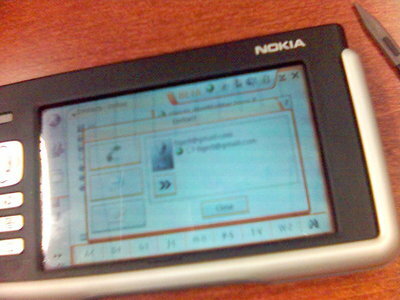 I’ve just downloaded the Internet Tablet OS 2006 edition Beta to my Nokia 770. The software feels a lot faster, and the new features are really cool. I even had my first chat using the thumb keyboard, and a 15 minute VoIP call with Tigert. Very promising. I hope Maemo Mapper and the Plazer get ported to the new OS version soon. The OS X flashing instructions work too, though the software needed for the GUI method isn’t available and I had to use command line. 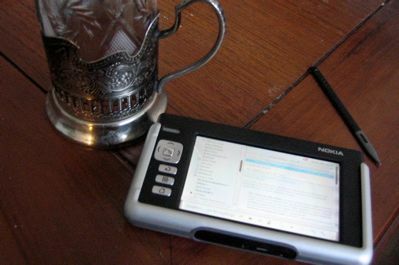 Updated 2006-06-12: Jeff Waugh said it well: Nokia 770 is ready for the enterprise.